Less than a month to go until the 2016 Scottish Parliament election and the campaign is starting to hot up. 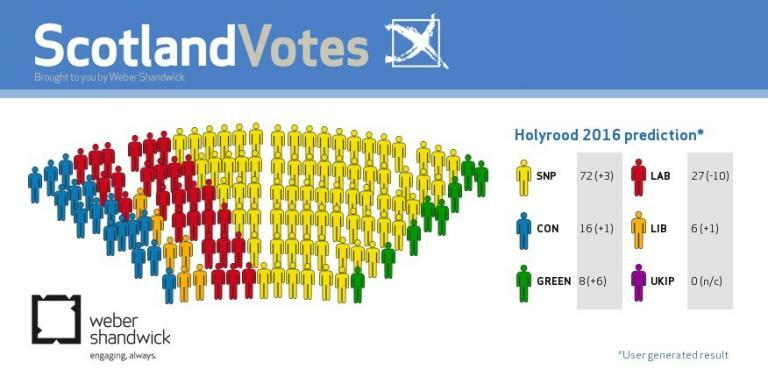 A poll out today suggests the SNP will increase their majority, Labour will hold on to second place, and the Greens will overtake the Lib Dems to move in to fourth. I look forward to tomorrow when there won't be a pile of leaflets through the letterbox! Seriously haven't read a single one of them. Does anyone? I think we're all voted out over the last 19 months.